Le Groupe Maurice was named one of Canada’s 50 Best Managed Companies by Deloitte, in recognition of its role as a leading designer, manager and developer of cutting-edge residential complexes across Quebec. This honour not only reflects the collective efforts of our expert team, but also demonstrates the passion and determination of the dedicated entrepreneur behind the company, Luc Maurice. Luc Maurice graduated from the Royal Military College Saint-Jean with a bachelor’s degree in Administration, enlisting in the Canadian Armed Forces. Although he valued this experience for its dynamic and stimulating environment, he was unable to express his creativity and inventiveness within its constraints, realizing that he wanted to do things differently. In 1978, Luc began pilot training in Saskatchewan, during which time he developed a strong sense of discipline and attention to detail. In his career as a pilot, his desire to make a difference led him to work mainly in search and rescue operations. 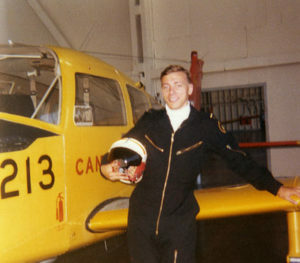 He then relocated to Edmonton, where he led a team for the first time as Chief Pilot with a Canadian Armed Forces squadron. 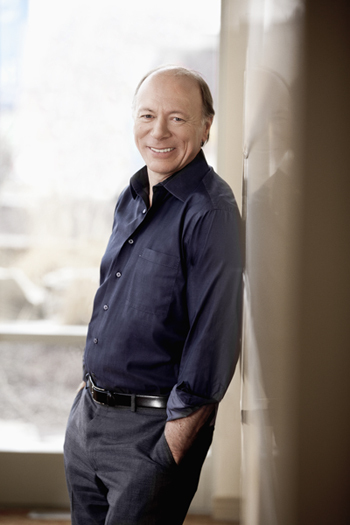 During this time, he also enrolled in an MBA program at the University of Alberta. 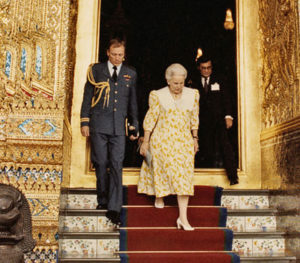 At 29, Luc was offered a position working as an aide-de-camp by the then Governor General of Canada, Jeanne Sauvé. This opportunity opened many doors for the young man, who was able to meet a number of influential businesspeople. Intrigued by the world of entrepreneurship, Luc became increasingly interested in bringing his innovative ideas to life. Luc saw a residence for seniors being constructed and found it somewhat lacking. Imagining what it would be like to be a future resident, he wrote his university thesis on optimizing retirement residence designs in order to improve the quality of life for seniors. 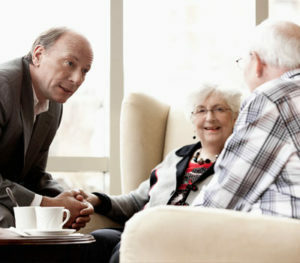 Luc could see himself becoming a Canadian leader in retirement residences. In 1987, he founded Gestion Dali Management, a consulting firm that designed and assessed construction plans for retirement residences. Continuing to gain experience in the field, he conducted a market study in 38 cities across Canada. Wanting to explore new horizons, Luc spent two years as the executive lead for the Governor General's Study Conference. He then went on to become General Manager of Corporate Affairs at CANAC International, a company in the railway sector. This industry, however, was not the right fit for Luc to grow and achieve his vision. So, in 1997, he followed his instincts and left the railway industry to pursue his dreams. Le Groupe Maurice works to improve the quality of life for retirees across Quebec by designing, developing, and managing new residential solutions that promote inspired living, freedom, and happiness for today’s seniors as well for future generations. Le Groupe Maurice designs all of its residences to be liberating and creative settings. This luxurious quality of life is true to the main objective of Luc Maurice and his team: enriching the personal fulfillment of their residents, with a people-first approach. With a focus on mutual cooperation, Luc encourages teamwork, active involvement, and togetherness at Le Groupe Maurice, in the residences themselves, and in the community. He is on the board of directors for the Regroupement Québécois des Résidences pour Aînés and the Fondation Institut de Gériatrie de Montreal, as a part of which he works to protect the dignity and independence of seniors. Luc Maurice is a proactive adventurer who inspires others with his tremendous energy. He brings a sense of harmony and joy to all his projects, fully dedicating himself to the creation of sustainable living environments that meet residents’ expectations.